Handling hair roughly with appliances such as combs and brushes can lead to split ends over time. Persistently dry hair can also lead to split ends. 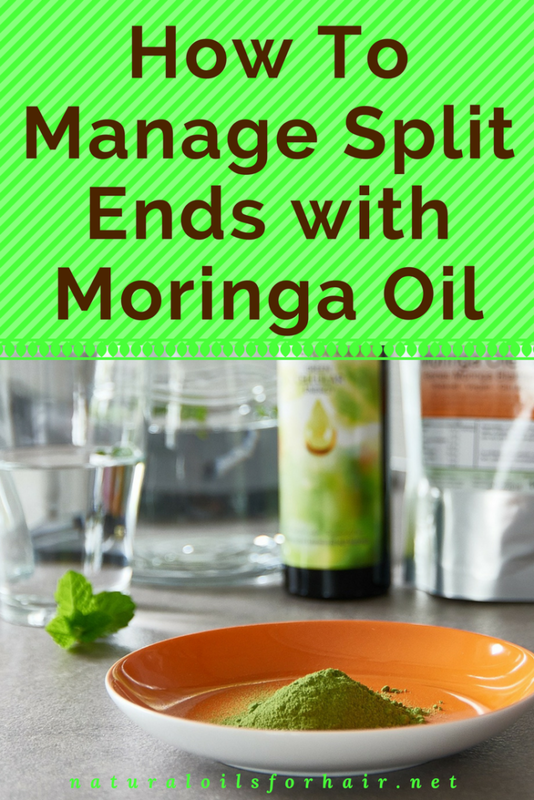 While the ultimate fate of split ends are the end of a pair of scissors, you can manage the appearance of and protect against future split ends by incorporating moringa oil into your regimen. Moringa oil is produced via pressing the seeds of the moringa tree, which has several different names among which are moringa oleifera, drumstick tree, horseradish tree, and ben oil tree. The moringa tree is cultivated in the Himalayas, parts of Asia and Africa, and can survive long periods of drought. 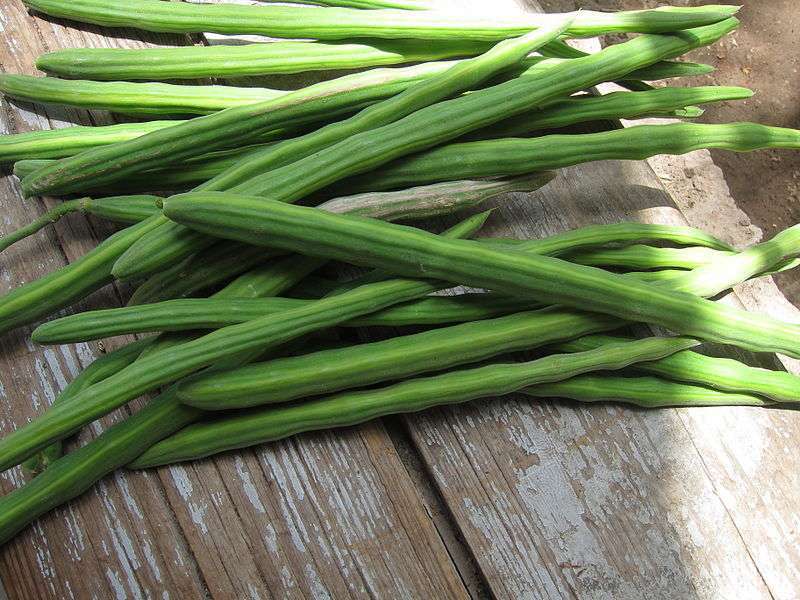 All parts of the moringa tree can be can be consumed. 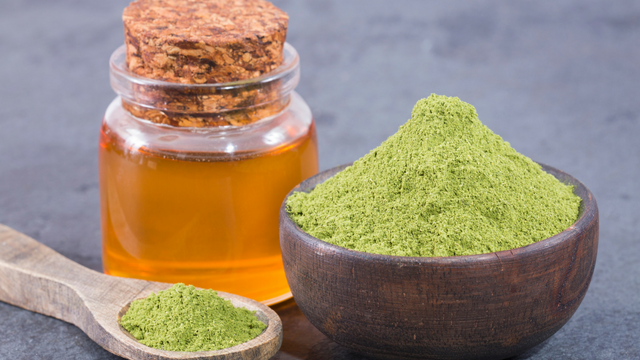 In addition to moringa oil, it is also used to produce moringa powder. Moringa oil has properties similar to olive oil and is excellent for cooking. 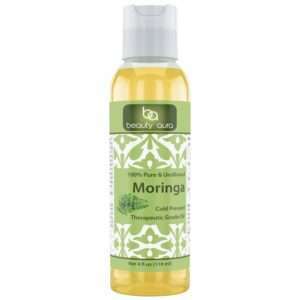 Moringa oil is pale yellow and odorless. Is Moringa Oil Good for the Hair? Yes, moringa oil is very good for the hair. It has some excellent properties that improve dry hair and scalp and promote moisture retention. Moringa oil is high in palmitoleic, oleic and linoleic acids, fatty acids, vitamin A (higher than carrots) & vitamin C (higher than oranges), and all the B vitamins. Moringa oil is high in antioxidants, which makes it a stable oil highly sought after for hair and skin care formulations. These properties ensure an oil that is nourishing, moisturizing and non-drying with excellent emollient properties for the hair. That’s all the stuff about the goodness of moringa oil for hair. Now let’s get to how you can use it to improve the appearance of split ends. As I said at the beginning of this article, the future of split ends is at the end of a pair of scissors. Don’t think this recipe can repair split ends. However, to further prevent them from traveling further up the shaft and manage them while trying trimming every few weeks, this recipe works well. After shampooing and deep conditioning, mix the moringa oil and lavender essential oil in your palms, rub together and spread through the hair. Smoothen throughout your hair focusing on the ends then style your hair. You can use the same mix every night on your ends. There’s no need to wash it out. Afterward, apply 4 – 5 drops of moringa oil in your palms, rub together and spread through hair then detangle hair more thoroughly. 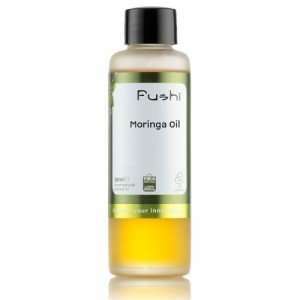 You can also use moringa oil as a substitute for one of the oils recommended in the ultimate detangling oil mix recipe. Additional benefits of moringa oil include softer and shinier hair with this wonderful recipe with just three ingredients. Mix all the ingredients together and warm up slightly over a bowl of boiling water. Shampoo your hair then apply the hair mask for a soothing deep conditioning session. I also share more moringa oil hair mask recipes at Soften, Detangle & Condition Dry Hair with this Moringa Oil Mask. 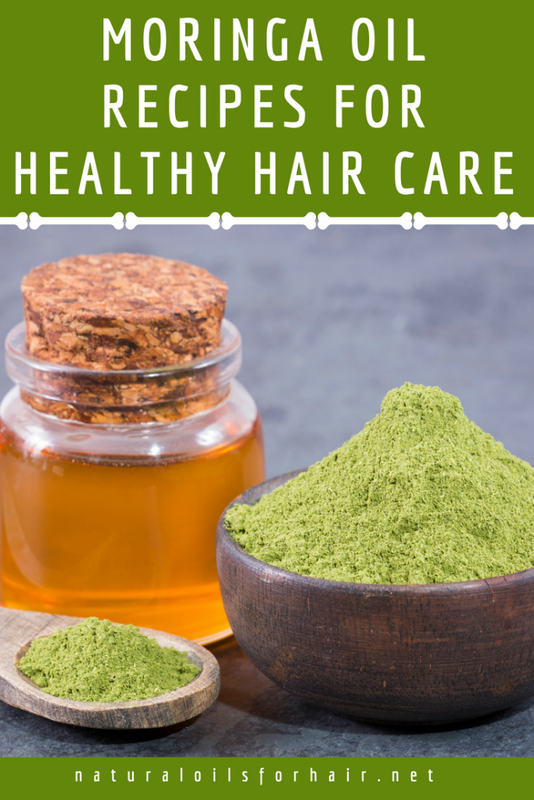 Is Moringa Oil Good for Hair Growth? Moringa contains all the B vitamins. This includes thiamin, riboflavin, niacin, biotin, pyridoxine, folic acid, cobalamin, pantothenic acid as well as sulfur. All these properties assist with stronger hair growth, which hinders split ends in the long run. Add moringa oil into other optimal hair growth oils for best results. Where to Buy Moringa Oil? I haven’t thought of managing split ends with an oil before. I’d probably heed the recipe closely for once only using those few drops because the price was much higher than I anticipated. It is a bit pricey but at only a few drops at a time, I expect the bottle to last for up to 6 months or longer.